Covering the Furness Railway route from Carnforth via Barrow-in-Furness to Workington, this book contains the expected history and description of the route, but as the title suggests it is much more than that. It not only gives railway enthusiasts and historians everything you need to know about the line, but it informs travellers what there is to experience and enjoy on a journey on the line. Chapters cover the animal and bird life of the area with advice on walking routes from various stations. 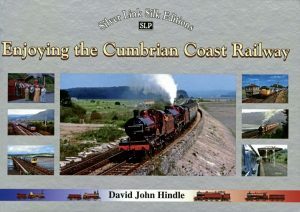 Illustrated with photographs from the steam era, the diesel era and the preservation era, the variety of motive power to have been seen on the route is readily apparent. BR steam ended in the area 50 years ago, but since then Carnforth became an important centre for preserved steam; the award-winning Ravenglass & Eskdale is also a major heritage attraction and industrial steam at collieries and steelworks along the route is not overlooked. Read more Reviews in Issue 239 of HR – on sale now!